Nearly every April since 2011, Disneynature has released a documentary in which we follow a certain species of animal in celebration of Earth Day. 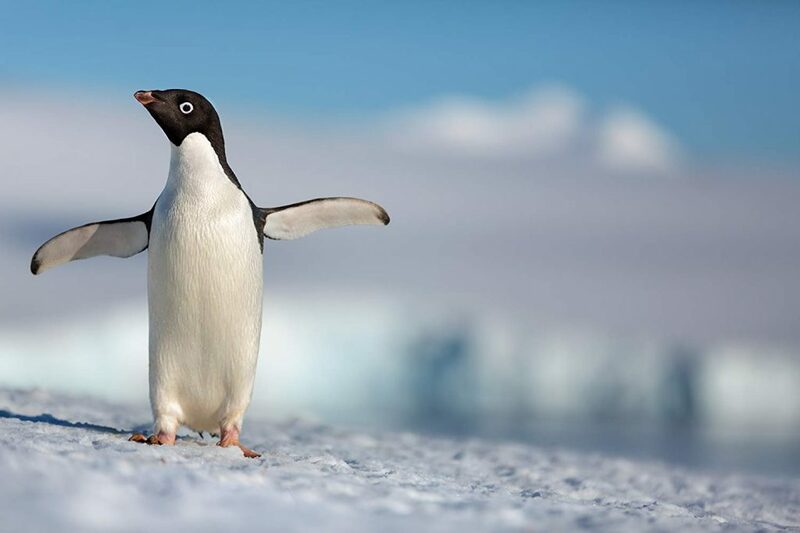 There’s been African Cats, Chimpanzee, Bears, and pandas in Born in China, but this year we’re following Steve, an adorable Adélie Penguin in Disneynature’s Penguins. 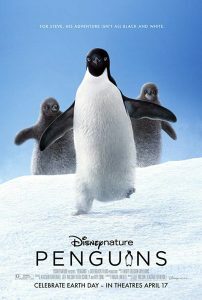 Penguins is directed by Alastair Fothergill and Jeff Wyatt Wilson and follows a particular penguin they’ve named Steve, as he makes his first trek across Antarctica during the mating season of the Adélie Penguin. Steve is in for a long journey in not only reaching his destination but hopefully finding the bird of his dreams and tending to some future penguin babies as the change in weather quickly approaches. I was surprised to see that while the film is entirely kid-friendly with its charm and G rating, it also doesn’t hold back on the dangers the colony of penguins faces during their migration. It was bad enough dealing with pesky predatory skua birds but at one point, it would have been entirely possible to hear a pin drop as one of our young feathered friends is courageously trying to out-maneuver a lurking and treacherous leopard seal. At seventy-six minutes, the film isn’t very long but there were times where I was curious how much longer it would be. 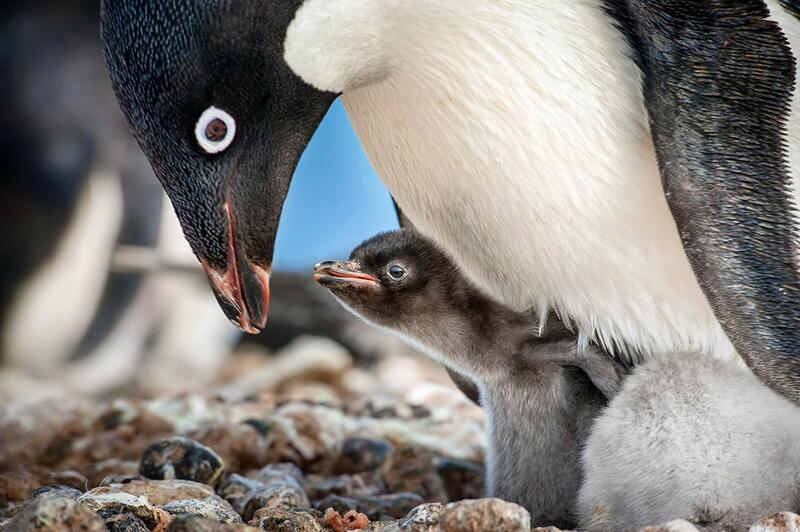 There’s only so many times you can see Steve bring a pebble back to his nest before it becomes tiresome, though some other penguins provided for a bit of comedy during those bits. The music choices were cute and fit their moments quite well and provided a chuckle. It’s also very well shot by Fothergill and Wilson and crew, showcasing beautiful landscapes of Antarctica throughout Steve’s journey. P.S. I really like what Disney has been doing with Cinderella Castle in the opening Walt Disney credit rolls lately. Much like Incredibles 2 last summer, you’ll find a reimagined castle design to fit the theme of the film and it’s wonderful.